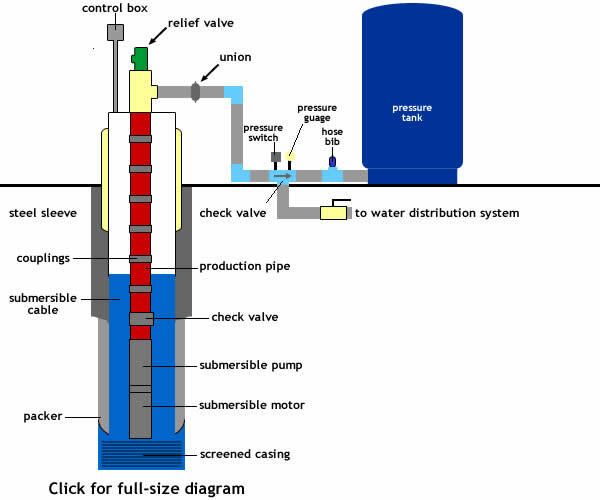 The basic residential water well system looks like the diagram below. The submersible pump pushes water up through the drop pipe to the surface. The check valve keeps water from flowing back into the well. The pressure switch turns the pump on when the pressure drops and off when the pressure builds up. The pressure is stored in the pressure tank. 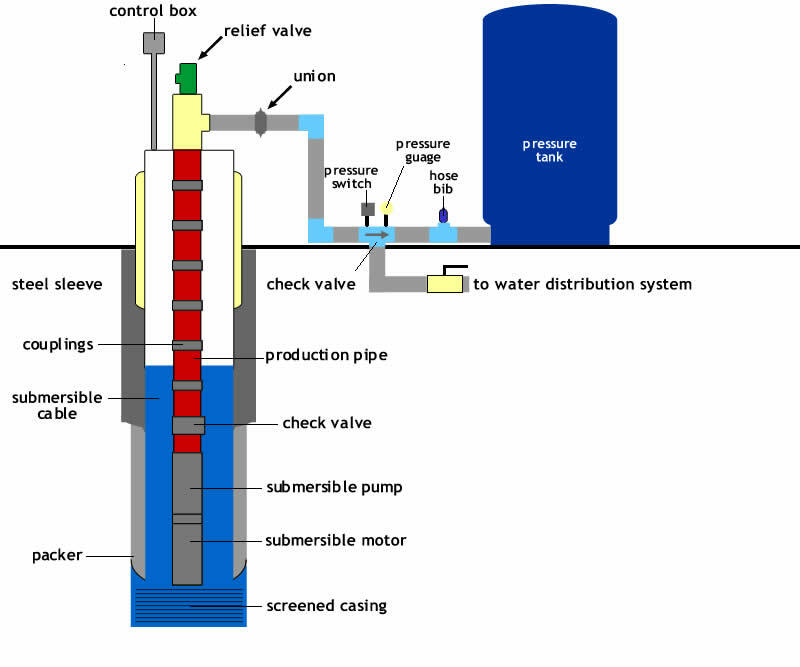 If the system builds too much pressure, the relief valve will release the excess pressure in an emergency.